Angie at Bob Wards says in Bozeman Lower Madison hit the sun and Gallatin Rivers are doing nice. In the Helena area like Canyon Ferry Lake continues to freeze over with 6-68 inches of ice on the South end. Bill Brown at Bob Wards says bow season is still going on, and Lake Cuomo still fishing well for rainbows. 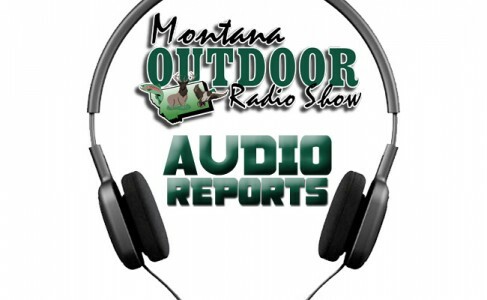 Brett French Outdoor editor of the Billings Gazette talks about the up coming legislation session. Dallas at Highline Cleaners in Chester says Tiber is hit or miss, and a reports a 17 lbs Northern was caught. John Harris from Lakeside Resort in Trout Creek says Noxon Rapids Reservoir is building ice, reminds us wolf and mountain lion hunting is still going on, and February 9th is the 22nd Annual Snowmobile Poker Run. Mary Beth Kibler of Kibler Outfitting says Devil’s Creek has been doing well for walleye and pike. Ron Aashiem updates us on the wolf harvest, and says the state is open for wolves. Shelby from Rocky Mountain Supply in Dillon says the ice on Clark Canyon Reservoir is picking up for trout and ling fishing with cut bait and worms. Tammy from Northwest Sports in Eureka says Frank Lake, Murphy and Burma Pond have ice. Woody from Woody’s Lures in Townsend says in White Sulpher Springs Martindale is doing well. Trevor Johnson talks about their custom built lure that his father and him won the $10k 2012 Canyon Ferry Walleye Festival.